This has become one of my favorite go to breakfasts. It is packed with nutrition and delicious not to mention so very filling. Low in fat and low in sugar. 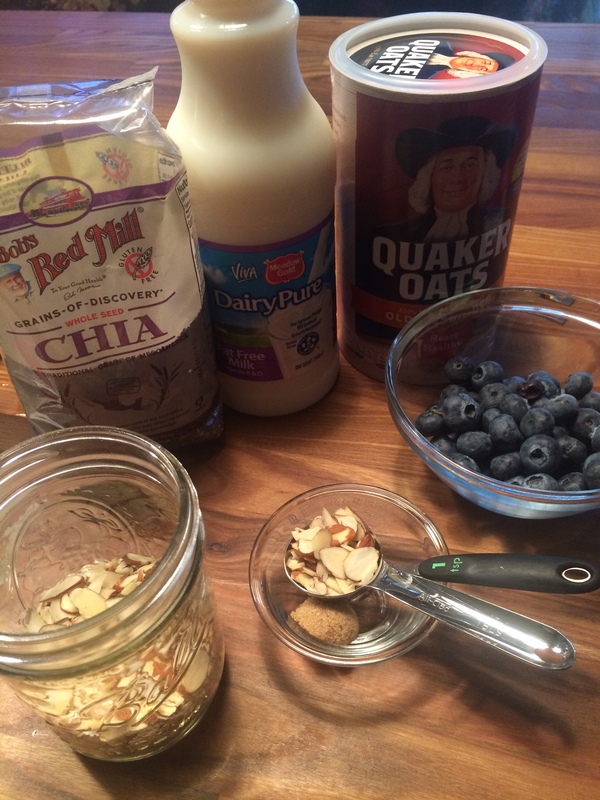 Fiber from the chia seeds and anti-oxidants from the blueberries! I make 2 of them at nighttime and my breakfast is ready and waiting for me in the morning and then I have one for the next morning. No fuss at all, easy simple ingredients and substitute any fruit you like. I happen to love blueberries but bananas would work as well as peaches, etc. If you don’t like nuts or chia seeds just omit or use any kind of seeds (flax) or nuts you like. Awesome! 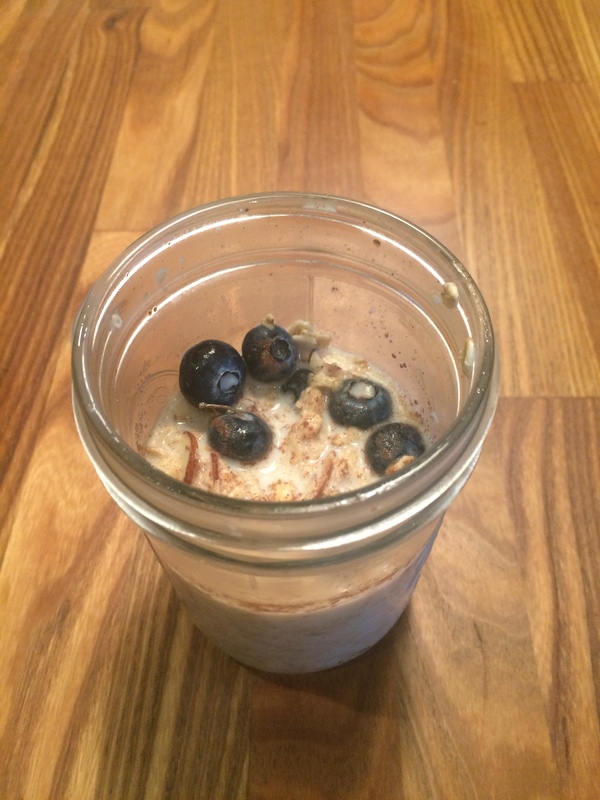 I used a mason jar because they have such a good lid and you can shake it up and close tight. Take it with you on the go , before the gym, before ski , before a hike and before a bike ride! My new favorite breakfast. If you’re not doing any of those activities it’s still a great go-to breakfast. Enjoy! 3/4 cup of milk ( any milk you like) I use fat-free and 2% depending on what I have in the house. 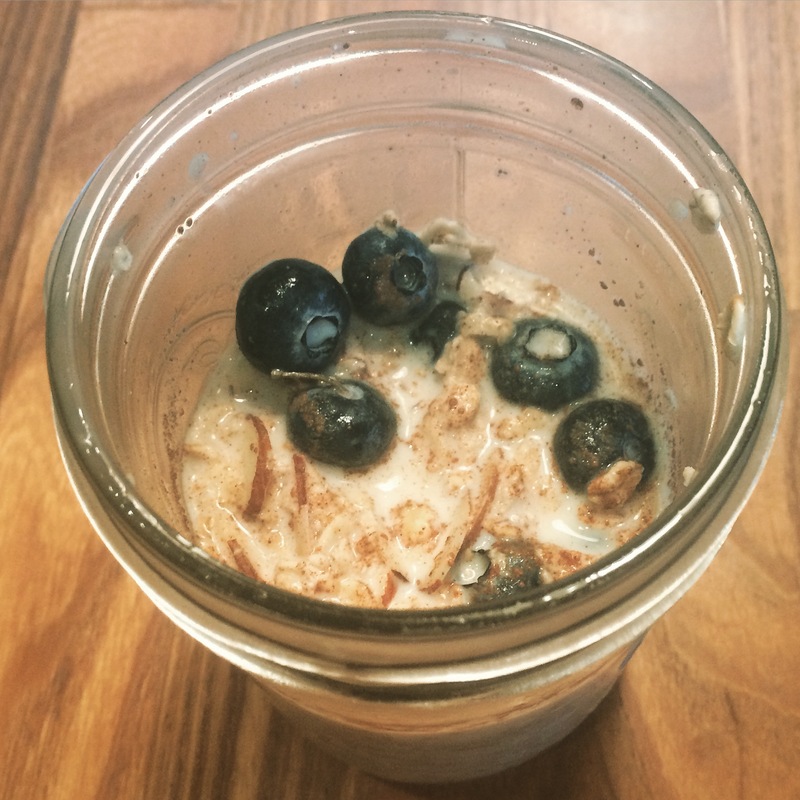 Load it all in the mason jar and shake it up good. 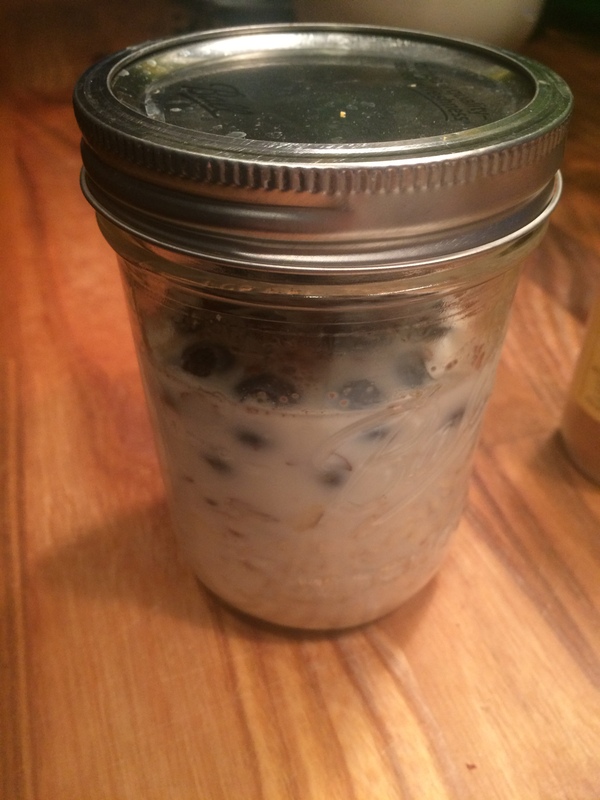 This entry was posted in Breakfast Food and tagged Breakfast Food, breakfast in a jar, cold overnight oats, oats in a jar, overnight oats in a jar. Bookmark the permalink. Reblogged this on Cooking with Candi.